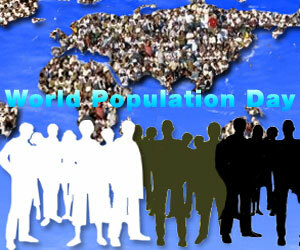 In 1989, the Governing Council of the United Nations Development Programme recommended that 11 July be observed by the international community as World Population Day, a day to focus attention on the urgency and importance of population issues. The theme of 2016 World Population Day is 'Investing in teenage girls. 'Teenage girls around the world face enormous challenges. Many are considered by their communities or parents to be ready for marriage and motherhood. Many are forced from school, damaging their future prospects. Even among girls who stay in school, access to basic information about their health, human rights and reproductive rights can be hard to come by, leaving them vulnerable to illness, injury and exploitation. These challenges are exacerbated among marginalized girls, such as members of ethnic minorities or those living in poverty or remote areas.